Meet Bok Choy's Adorable Cousin, Yu Choy! The new choy on the block is Yu Choy! A Chinese green from the choy family, yu choy has tender stocks and earthy and nutrient dense leaves, making it ideal for stir-frys. Great for complimenting strong flavors and maintaining it’s crunch under pressure, this yu choy will soak up the goodness of whatever “yu” choose! Just like other Chinese greens, yu choy is easy to enjoy, there are just a few steps to follow to make sure your dish comes out perfect every time. 1. Don’t rinse your greens until ready to cook. When you’re unpacking your order, place yu choy in a produce bag with a chemical-free paper towel inside. 2. When ready to cook: cut off the ends of the stems and pick off any damaged or yellowing leaves. 3. Decide what is the right cut for your meal. If showcasing the yu choy by itself, leave them long and intact. 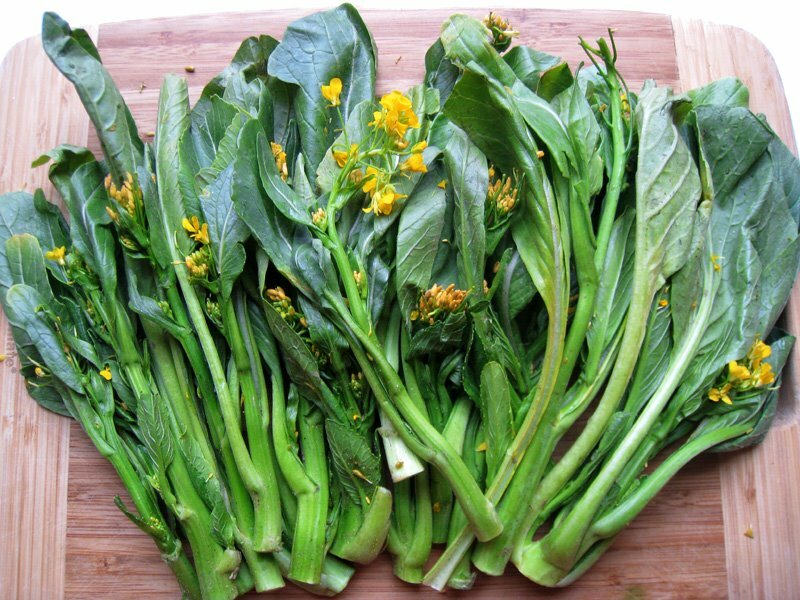 If the yu choy is going to be in a stir-fry or veggie bowl, chop them into into bite sized pieces. 3. Wash, Wash, and Wash! 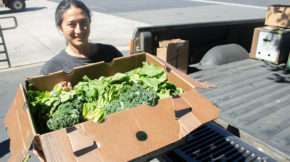 Just because our produce is all-natural and pesticide free, doesn’t mean it’s ready to eat! Chinese green vegetables have a good amount of dirt in them and you definitely don’t want any in your final dish. 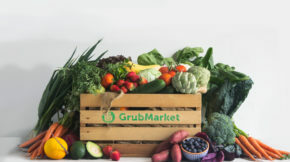 We usually fill a large stainless steel or plastic bowl with cold water, dump in the cut vegetables, give them a good swishing and agitation and let them soak for a few minutes to loosen the dirt. Next, remove the veggies to a large colander and repeat the process another two times. It sounds like a lot of work but definitely a worthwhile effort. Top tip: Don’t dump the water! Reuse it to water your household plants. Being an asian green, it’s no surprise that Yu Choy pairs great with garlic, soy sauce and ginger! However, it is such a versatile veggie, it will soak up the flavor of almost anything you put it with. It really compliments mushrooms, pork, and chicken (not beef or seafood) and is great over a bed of steamed brown rice or quinoa! 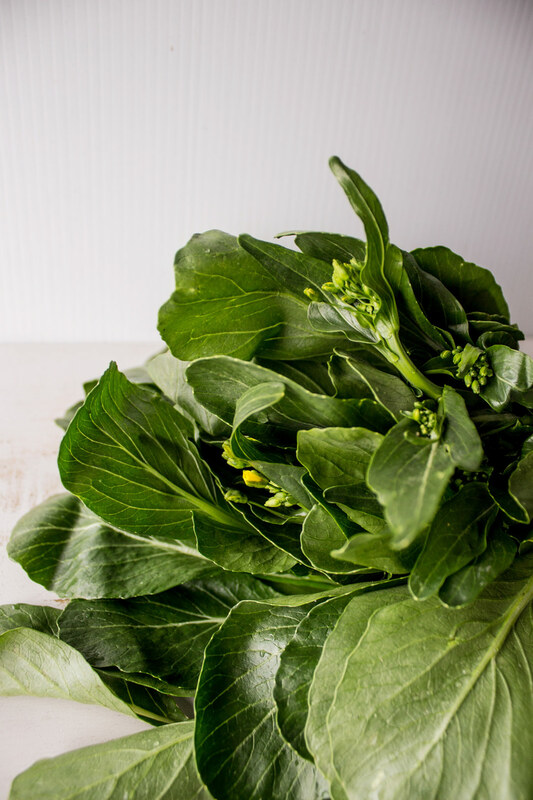 This week we got this beautiful Yu Choy from our friends at Thao Family Farms. Read more about them on our blog, or visit their farm by watching the video below!